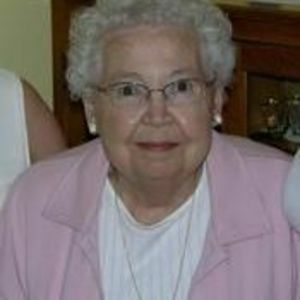 Betty A Sparks, 84 of Shirley, passed away January 21, 2013 at Hancock Regional Medical Center. Just wanted you to know you are in thoughts & prayers today.He has her at his side & you have in your hearts forever. God Bless You! My deepest sympathies to you on your loss. My thoughts and prayers are with you. Sincere sympathy to your family. Mrs. Sparks was always kind to the neighbor kids of Lee Street/300 South. May your memories and knowing others are keeping you in their prayers comfort you during this difficult time. I am so sorry to hear of your loss of your Mom and Grandmother. She was a warm and lovely lady. I remember her as a generous and loving Brownie leader and a patient mentor in 4-H.
She is one of the adults that made a difference in my life. Sending my deepest condolences to all of you. So very sorry for your loss. so sorry for your loss Susan. May you have abundant good memories to help you through the sad times. So glad you were able to spend this tie with her.